Shaving before laser hair removal is necessary, but do not wax or pluck hair before laser hair removal. The reason is that shaving leaves some of the hair in place and the laser needs a TARGET and for laser hair removal the hair itself is the TARGET. So, if you remove the hair by plucking or waxing you remove the target. Shaving leaves hair under the skin and therefore the target remains. 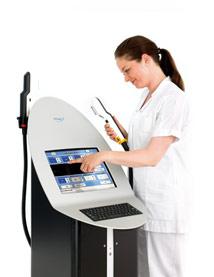 You cannot leave some of the hair on the surface either, because the hair might damage the head of the laser. Remaining surface hair might necessitate the use of less energy to protect the head of the laser, which makes the treatment less effective.